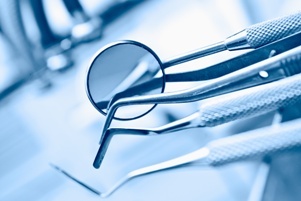 What Are Reasons for Disciplinary Proceedings Against Dentists in Texas? When you have worked hard to build your practice and reputation and provide quality dental care to your patients, it can be devastating to be subject to disciplinary proceedings in Texas. If a complaint is filed with the Texas State Board of Dental Examiners (TSBDE), you could face loss of your license. No matter how frivolous you think the complaint is, you cannot afford to take it lightly. The Texas State Board of Dental Examiners has broad powers to take disciplinary actions against a dentist. This can include revoking or suspending a license, placing him on probation, or ordering him to pay a fine. Are you facing disciplinary proceedings at the Texas State Board of Dental Examiners? You have the right to a hearing and to present a defense to the complaint against you. You also have the right to an experienced attorney to advocate on your behalf—and you will need one. Attorney Walt Taylor has years of experience helping dentists and other medical professionals facing disciplinary actions. Contact him online today or call the office directly at 817.380.4888 to schedule your free consultation today. We help doctors and dentists throughout Texas including Arlington, North Richland, Grapevine, Bedford, Hurst, Euless, Irving and all points in between. Employment & Medical Peer Review Lawyer helping workers, doctors, nurses, dentists and pharmacists in Texas.